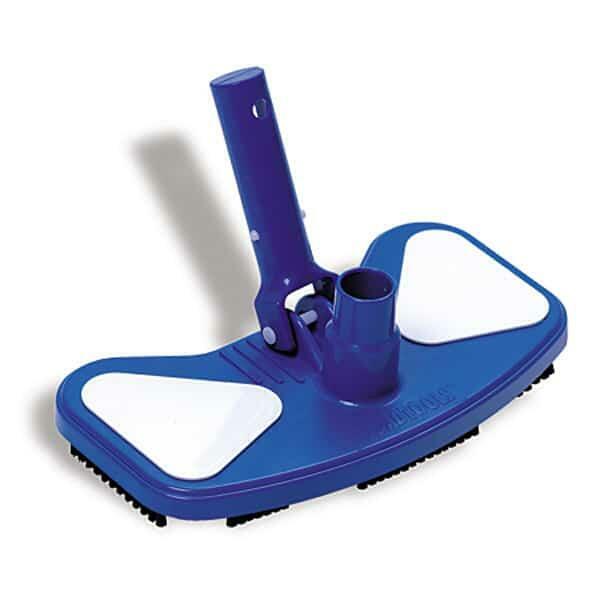 The Weighted Butterfly Pool Vacuum Head attaches to vacuum hoses. It features a butterfly design that helps to easily clean pool liners. The vacuum head is weighted so that it can easily get the bottoms and sides of the swimming pool. The vacuum head attaches to swimming pool vacuum hoses that are 1.25'' or 1.5'' in size.